Hobsons Education Advances Awards - Meet the Judges! We are excited to once again announce that the nominations process for our annual Education Advances Awards is open to schools and districts across the nation and world. We have a stellar panel of judges this year, all who are eager to review the innovative work that is taking place in college and career readiness. Our judges have been active in the field of education and college and career readiness and are dedicated to student success. We would like to thank them for their dedication in helping to recognize those who are putting students at the center of the conversation and helping them to succeed in elementary, middle, high school, and beyond. Jill Cook is assistant director of the American School Counselor Association (ASCA), where she helped develop and continues to oversee the National School Counselor of the Year and Recognized ASCA Model Programs. Jill also serves as a liaison to numerous K-12, nonprofit and for-profit organizations that work on issues related to the well-being of our nation’s students. Jill has been the chairperson of the National Consortium for Child and Adolescent Mental Health Services and is a member of The College Board’s Member Engagement Advisory Committee; the National Working Group on Foster Care and Education; the Evidence Based School Counseling Conference; the Coalition to Support Grieving Students, the Stem Equity Pipeline through the National Alliance for Partnerships in Equity and the National Coalition of Personnel Services in Special Education and Related Services. She also represents ASCA on the Council of National School Counseling and College Access Organizations. She participated in the American Express Leadership Academy and in the revision of Learning Forward’s Standards for Professional Learning. She currently works with the US Army and the National Association of Secondary School Principals on the Leadership and Professional Development Symposium for principals and school counselors. In 2014, the American Foundation for Suicide Prevention presented her with the Allies in Action Partner Award for her work on the development of a model school district suicide prevention policy. Jill received her bachelor’s and master’s degrees from the University of North Carolina at Chapel Hill and has done postgraduate work at UNC-Greensboro and Appalachian State University and was a music teacher, middle school counselor and assistant principal before joining ASCA. Mike Marriner is a Co-founder of Roadtrip Nation, and leads Roadtrip Nation’s program management and strategic partnership efforts with organizations including KQED, The Corporation for Public Broadcasting, the College Board, The California Department of Education, AVID, and other national and state-wide organizations that help bring the Roadtrip Nation Experience to millions of people. He is a co-author of all three Roadtrip Nation books, has been featured on national outlets such as NBC’s Today Show and Esquire’s “Best & Brightest” list, is an Ashoka Fellow, and a frequent public speaker. Mike graduated from Pepperdine University in 2000 with a degree in biology, and the Harvard Business School - Social Enterprise program in 2012. Dr. David R. Schuler, a national education leader and superintendent of the second-largest high school district in Illinois, is passionate about preparing students to be college, career and life ready. 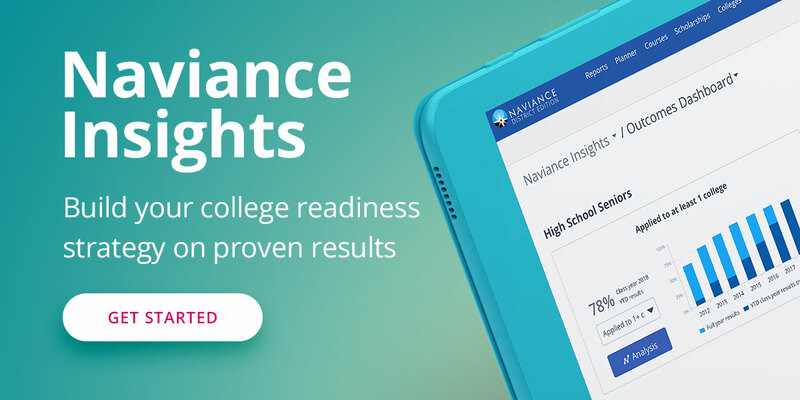 Dr. Schuler launched Redefining Ready!, a national campaign that introduces multiple research-based metrics to demonstrate post-secondary readiness, during his time as 2015-16 president of AASA, The School Superintendents Association. His work on Redefining Ready! has been published in several publications, and he has testified about college and career readiness before the U.S. Senate Committee on Health, Education, Labor and Pensions and the House Committee on Education and the Workforce. Since he took the helm of High School District 214 in Chicago’s northwest suburbs, students have earned more than 600 career certifications in areas including computer programming, manufacturing and healthcare. District 214 now teaches computer science to all 12,000 students, and its six schools were among only seven in the nation to pilot an iOS app development curriculum, initiatives which were recognized by the White House. His push to make college more accessible and affordable has led to a comprehensive career pathways program that offers personalized learning experiences through early college credit, internships and career credentials, and the passage of critical education legislation. Under his leadership, District 214 helped write, champion and pass legislation requiring every public Illinois college and university to accept Advanced Placement scores of 3 or higher. Dr. Schuler earned his bachelor’s degree from Carroll University and his master’s and doctoral degrees from the University of Wisconsin-Madison. For more on the Education Advances Awards, including a link to our nomination form, click here.